In director Marc Webb's (500 Days of Summer & Spiderman reboot) GIFTED - stress over meeting unrealistic goals seems to have been the case with Diane Adler, a celebrated math prodigy who experienced little of life outside think tanks and academia; well, other than an unexpected pregnancy. 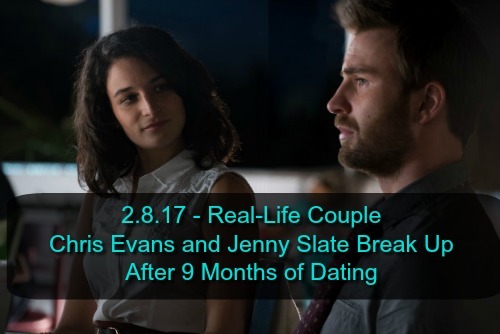 It would seem this emotional cocktail of extreme brilliance, an overbearing parent, overwhelming self-expectations with possible postpartum depression, adding the final blow, caused Diane to take her own life, leaving her baby daughter Mary (Mckenna Grace) in the care of her brother Frank (Chris Evans). When Frank realizes Mary inherited his sister's same amazing math brain, he doesn't suppress it, but also feels giving Mary a normal kid life is more important than exposing her as a prodigy. On the other hand, after several years of home schooling, he feels it's now necessary for Mary to have friends her own age, as she considers their neighbor/babysitter, Roberta (Octavia Spencer) her best friend. But of course, it's hard to hide a light that bright, and Mary's teacher (Jenny Slate, Obvious Child) discovers her gift, day one, bringing it to the attention of the Principal, which eventually leads to them reaching out to Mary's grandmother (Lindsay Duncan), Franks estranged mother, who had no interest in Mary up until this point, however, now sees Mary as the means of finishing her daughter Diane's work. For some reason, the next day when I was going over the movie in my head, I kept seeing and hearing Ben Affleck, instead of Chris Evans, There's certainly no way to confuse Batman with Captain America, but it just felt like Gifted would have been a good vehicle for Affleck. Not that there was anything wrong with Evans in the role. He and Mckenna Grace had adorable chemistry and banter. I do feel Octavia Spencer was wasted as Roberta, you didn't need an Oscar winning actress in a small role like that. Not to mention, in 2015 Spencer did Black or White about family members fighting over custody of a little mixed race girl, after the death of her mother. It actually starred Kevin Costner, which I'd forgotten when Hidden Figures came out that they'd already worked together. 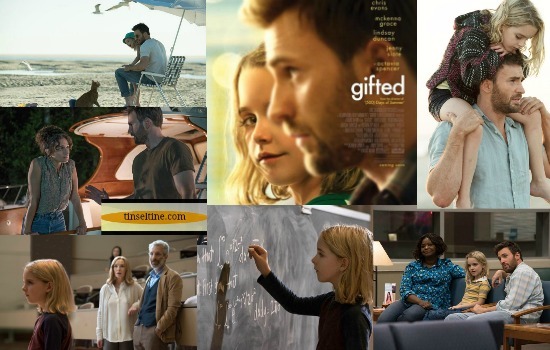 A similar story to "Gifted" hits theaters mid-June called THE BOOK OF HENRY Directed by Colin Trevorrow (Jurassic World, Safety Not Guaranteed) and starring Academy Award™ nominee Naomi Watts (The Impossible), Jaeden Lieberher (St. Vincent), Jacob Tremblay (Room). See T&T #ComingAttractions page for Trailer.